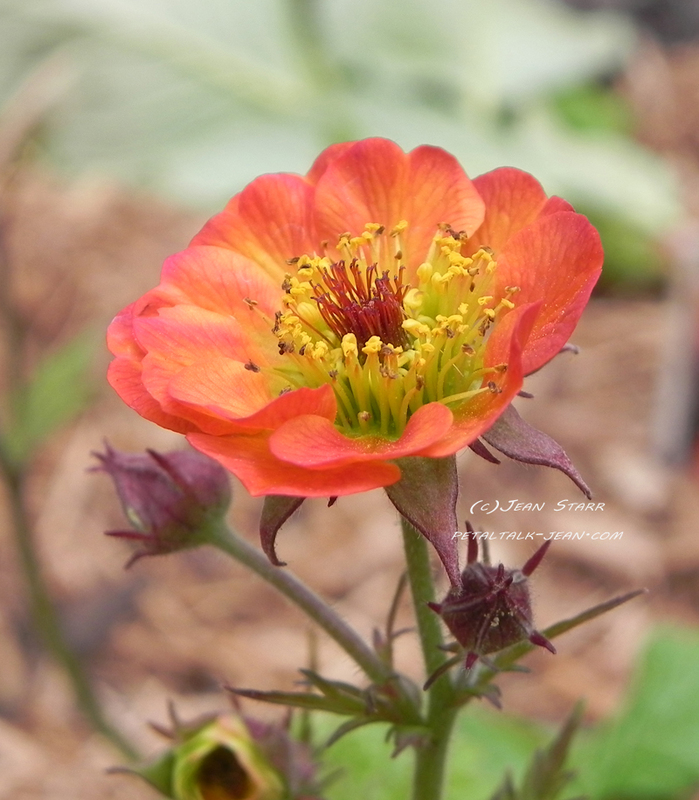 Petal Talk: It's Geum Cocktail Time! I love these little plants for their cheerful blossoms and healthy-looking summer foliage. They typically open at the same time as mid-season tulips, perennial bachelor's buttons (Centaurea montana), many deciduous Azaleas and short, mid-season Iris. Last year Brent Horvath of Intrinsic Perennials sent me some of his newest Geum cultivars from his Cocktail Series, and this year, they're doing swimmingly! Named for adult beverages, they include 'Tequila Sunrise', 'Alabama Slammer' and 'Mai Tai'. And if you ever thought all Geum are orange, you should take a look at these little marvels. 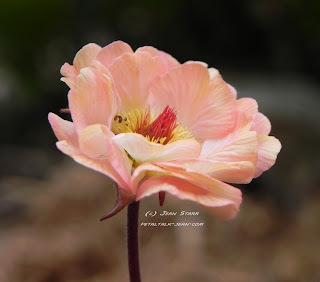 Depending on the stage of bloom,Geum flowers of the Cocktail Series start out with a deep coloration that contains varying degrees of red and yellow and then fades to a beautiful shade of peach, pink, or gold with subtle highlights. Each flower is a work of art and, if possible, the plant should be as close to eye level as you can get it or at least near a well-traveled garden path. Very nice pics of those Geums, Jean. Slammer and Mai Tai are poster worthy! Thanks, Jonetta. After another year growing them, 'Mai Tai' is one of my favorites.